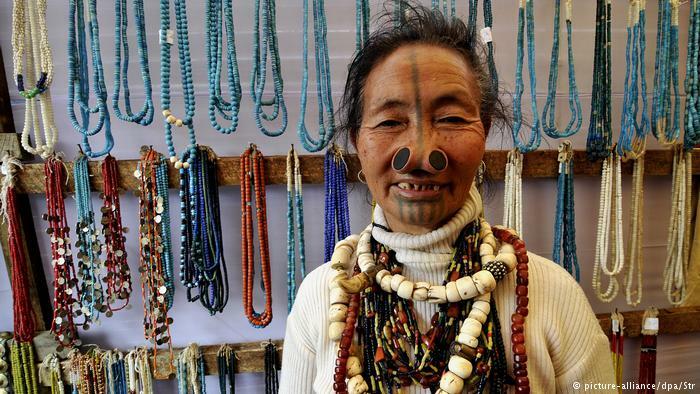 The women of the Apatani tribe, which lives in the Ziro valley of Arunachal Pradesh, India have a unique tradition. They wear large nose plugs and face tattoos. But contrary to popular assumptions of face piercing and tattoos, the Apatani women do not use them for reasons of beauty.